Still thrumming with excitement at taking a tangible step towards our RV life with the purchase our “Training Motorhome,” we could barely wait to get it out on the road for at least a weekend trip. 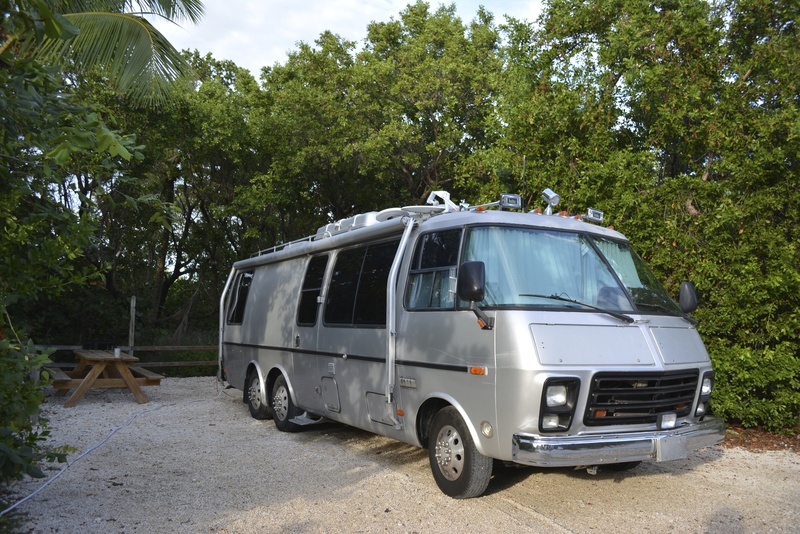 Despite living in Southeast Florida and having visited quite a number of the Florida Keys, Rose and I were both ignorant of the RV parks on the islands, so it was with some excitement that Rose stumbled upon Bahia Honda State Park during her research. 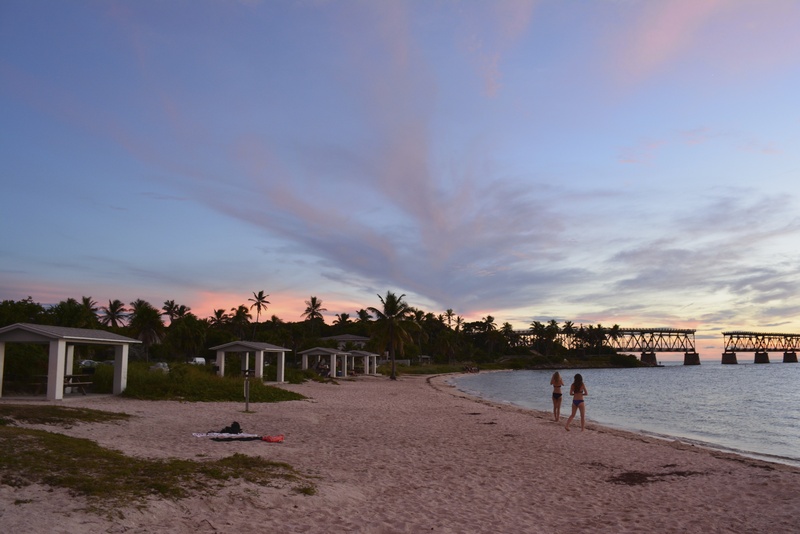 One of the best rig friendly spots in the Keys, Bahia Honda bosts what many consider the islands’ best beach, electrical and water hooks ups with a dump station, snorkeling, kayaking, and an affordable cost. We wanted to go as soon as possible. 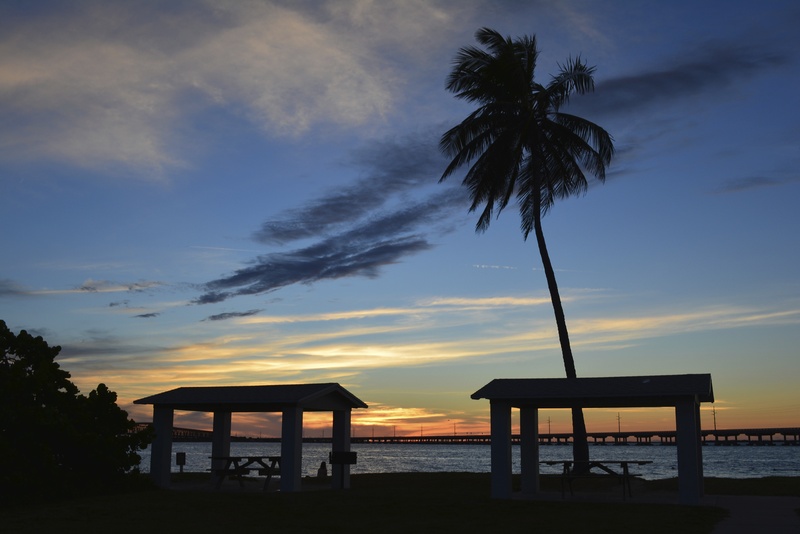 Unfortunately, Bahia Honda is quite popular and has a limited number of RV spots, and the experienced patrons reserve a year in advance. 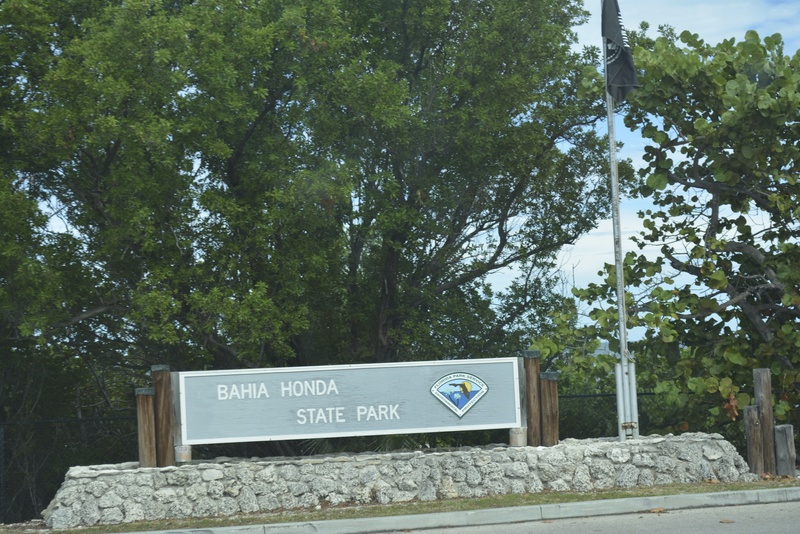 We had put Bahia Honda in the “maybe someday” file, when on a whim I checked the Reserve America website that handles reservations for all of Florida’s State Parks on the chance they had an opening due to cancellation for the coming weekend, and we nearly wet our selves with excitement when we were able to lock in one night. 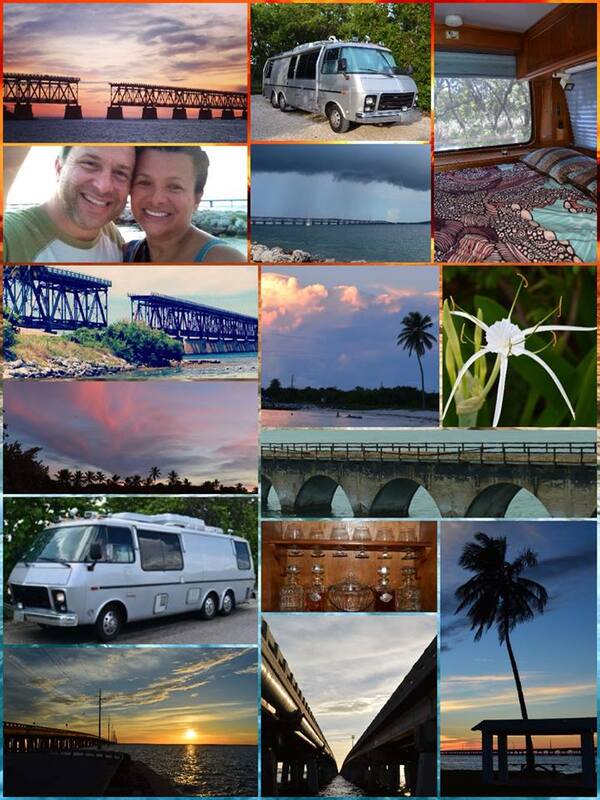 Thus 13 days after getting The Silver Shell home, we were able to take her out for a weekend in the Keys. We had a wonderful time. 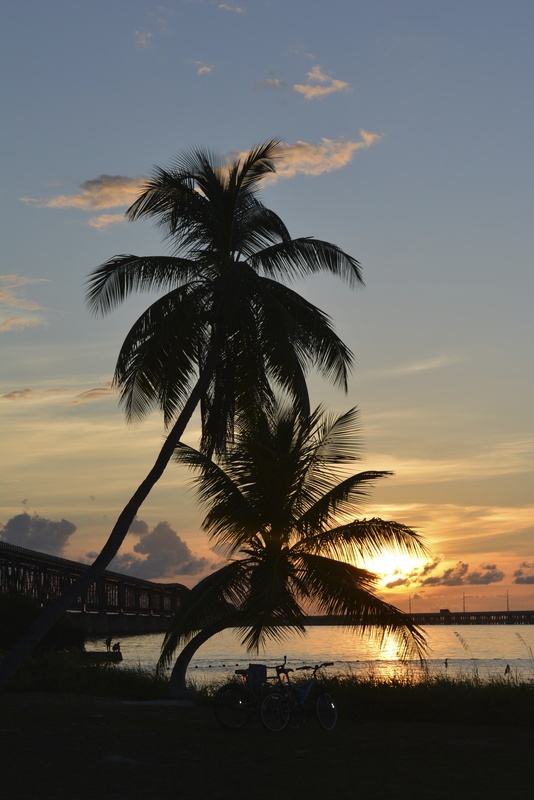 The beach and cove are fantastic, the wild life abundant, the water clear, and everything is exceedingly picturesque. In addition to the joy of being in this beautiful natural setting, we had our first opportunity to interact with other RVers, and you could not ask for a more welcoming unofficial community. As obvious neophytes, we took advantage of the experienced neighbors to ask questions and seek advice. In our short day and a half stay we learned more than we thought possible. We gained familiarity with the idiosynchracies of our rig, and were able to start a list of things we needed to upgrade, repair, or purchase to make things smoother during future trips. Probably the number one lesson: You need bicycles. Many of these parks are quite large, and even getting from your spot to the concession area, much less to all of the places worth seeing, can be quite a hike. As for the park itself, it has much to recommend it. 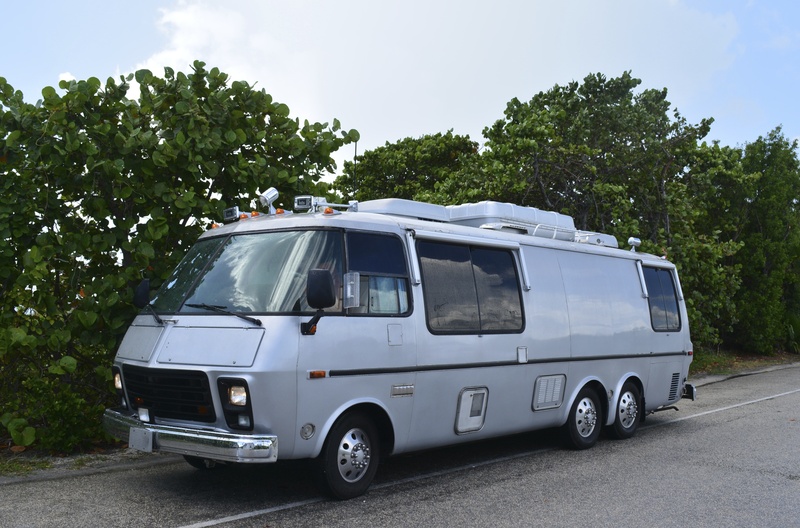 The camping/RV spots are sufficiently large such that you dont feel like you are right on top of your neighbors, and each has a significant amont of vegitation growing between each spot.